Hey, do you need a copy of the Leeds setlist from last year? I would love a copy PM sent. Can anyone hook me up with a good quality scan setlist for the following shows? I just wanted to bump this thread now that @pdalowsky has successfully sold a large portion of the 1993 and 1994 original Pearl Jam set lists. A few people have reached out to share their set lists on my site and I really can't express enough how grateful I am for that. If you have any set lists (new or old) that you would be willing to share with me/the community, please DM me. Here's an example of one of the 94's that just recently surfaced. Hopefully more to come. And as always, thanks to everyone who has contributed. It really is amazing to have everyone pitching in and helping make this site of mine grow. Hopefully there's no slowing down for a while. That setlist written by Stone is cool. Would love to see one done by Stone, Jeff, Mike or Matt these day's. 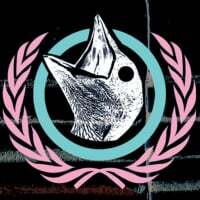 If you feel so inclined, head over to the site to check out a really unique set list. Probably the coolest one yet. A very long-time collector and the owner of some really incredible PJ artifacts contacted me not too long ago and offered up his set lists for me to post. Because these set lists are so old, unique, and important in the history of Pearl Jam as a bad, I felt that they needed a bit more substance than just posting a picture of them. As the tour approaches (and begins) I will be posting these set lists more frequently. They are really cool and certainly deserve to be checked out. So please check it out. Share with fellow fans and help spread the word. The more people we have sharing these artifacts and pieces of PJ's history, the better. Thanks. Thanks for bumping DMW, I love your site, there's always cool stuff being added. If you haven't had a look on Trapdoor In The Sun, check it out. Bump to remind everyone what an awesome site this is. Hope the holidays treated you well, Natasha. Fingers crossed for more new set lists this year. Just explored this and love it. Thanks for putting it together!